For this week’s Guest Post I am making an exception and including a Guest post that will be relevant to older children. I believe that it’s important that children have the right educational support when, and if, they need it. Louise has very kindly given me an opportunity to introduce Basing Tutors to you all. You will have seen much discussion and comment on Private Tuition in recent months and as someone who has been tutoring for fifteen years I have been surprised at the attention it is currently receiving and any suggestion that it is something new. I, and my small team of Tutors, have been working with local children of all ages for many years responding to needs ranging from assistance with early literacy and numeracy, SATs, independant school entrance exams, GSCE’s and on to A’ levels. Basing Tutors provides local tutors for local people. We are a specialist service providing tuition in a range of subjects for all ages. We are based in Old Basing and focus on an area in a 10 mile radius of Basingstoke. People like the fact that we are local, caring and professional. Subjects taught include English, Maths, Science, French, Spanish, German, History, Psychology, English as a Second Language and many more. Age from 5 yrs to Adult. Basing Tutors aim is to keep our tutoring service personal and local. This means that we can get to know our tutors and our clients and build a reputation for real quality and service. 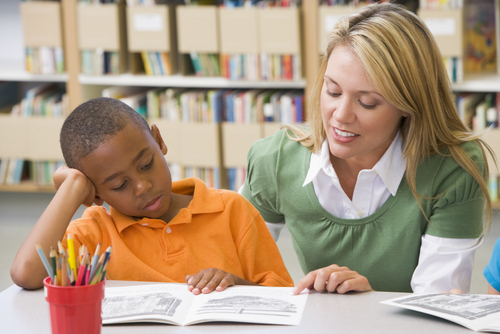 As reading is an essential skill, Basing Tutors also has a specialist Reading Therapist with years of experience using our unique Sounds Good Reading Program to get children reading. Our experience shows us that, once they are reading well, they excel in all the other subjects too. A comprehensive diagnostic reading and comprehension assessment will help you make an informed decision about your child’s reading. Learning must be fun and fun is at the heart of what we do at Basing Tutors. It is our job to find a way to help your child in a learning style that suits your child. The benefits of face-to-face tuition on a one-to-one basis have been proven in studies time and time again. Tuition is personal, focused and targeted to meet the individual needs of the student. The objectives of each Basing Tutor are set by the specific needs of each individual learner. When you contact us, we will have a chat about your needs so that we can assign the perfect tutor for you. The tutor will call you to arrange a meeting before you decide to go ahead. This meeting is free of charge as it is important to us that everyone is happy. I’m loving the series “A summer of Sport” by Peta. I had no idea that all of this was available in the area! England is hosting Australia this year in the 67th battle for the Ashes. Britain can boast a number of recent sporting triumphs; a massive medal haul in the 2012 Olympic Games, great success in cycling, tennis, horse racing, and car and motorcycle racing, to name but a few. But will cricket be another happy hunting ground for British sport? Right from the start of Ashes cricket, Australia was dominated by the mother country. There were a few short periods of Aussie greatness, but history is clear about which country was consistently playing superior cricket. In the 1990s things started to go horribly wrong for England; England started losing and Australia started dominating. By the late 1990s England’s oldest cricket foe had secured the greater number of Ashes series wins, and this made millions of Australians, including myself, very, very happy. (We do take our sport seriously.) This was a glorious period for Australian cricket and we set about building on our lead, and build we did… Until the 2010/11 Ashes series. For the first time in 24 years England won an Ashes series on Australian soil. With only one series win in the last decade Australia is clinging to a 31:30 lead, and I bet England are keen to finally even-up the tally. On the other hand, Aussie pride is a fierce animal, and sport is a serious matter. When threatened with the possibility of a mediocre result or even, God forbid it, failure, Aussies are capable of producing inspired results. This might just be where Shane Warne’s ‘ball of the century’ originated, that or it was just one of many episodes in our glorious period of cricket. Maybe Aussie pride sparked Ashton Agar’s enormous run haul (for a number eleven batsman) just a few weeks ago, in an effort to save the test for the Australians? England hold a 2-0 lead going into the third test starting tomorrow (1 August) at Old Trafford, but I suspect play will not be as one-sided as the scorecard suggests. Whatever remains for Ashes series 2013, my hope is that this oldest of rivalries continues to inspire Misses and Masters in England and Australia to pick up a cricket bat and play. Play in the garden, play at the beach, play anywhere. Just get out there and play. If you would like to make your cricket playing a little more formal there are a number of local clubs to investigate. To name just a few that encourage cricket for all ages and abilities (in alphabetical order): Basingstoke & North Hants CC, Oakley CC, Old Basing CC.